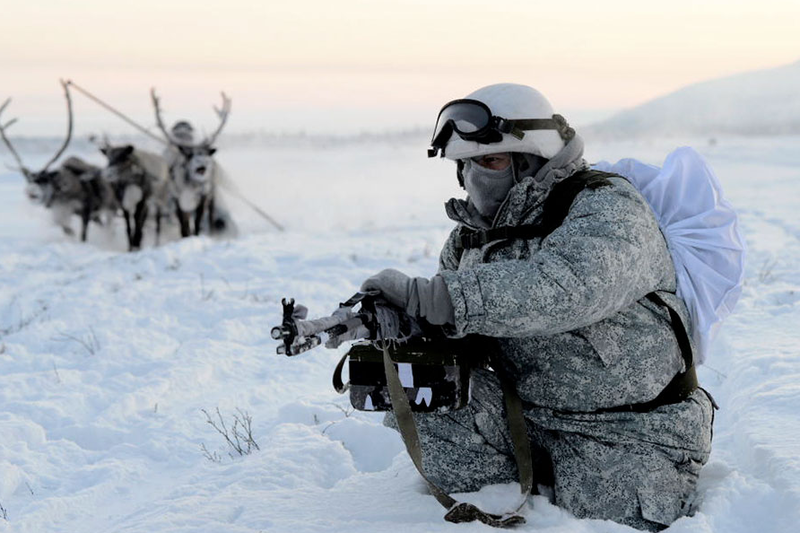 The military exercises were held in the Murmansk region. 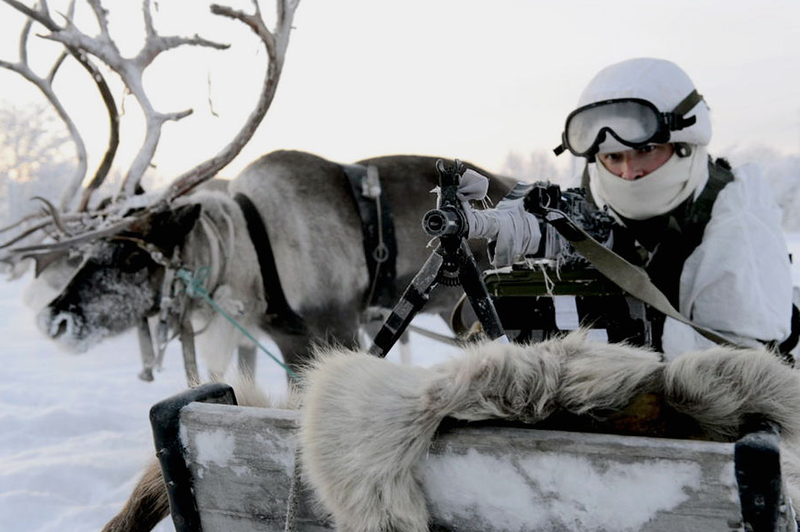 Siberian huskies and reindeer have entered the ranks of the Russian Northern Fleet's Arctic Brigade. 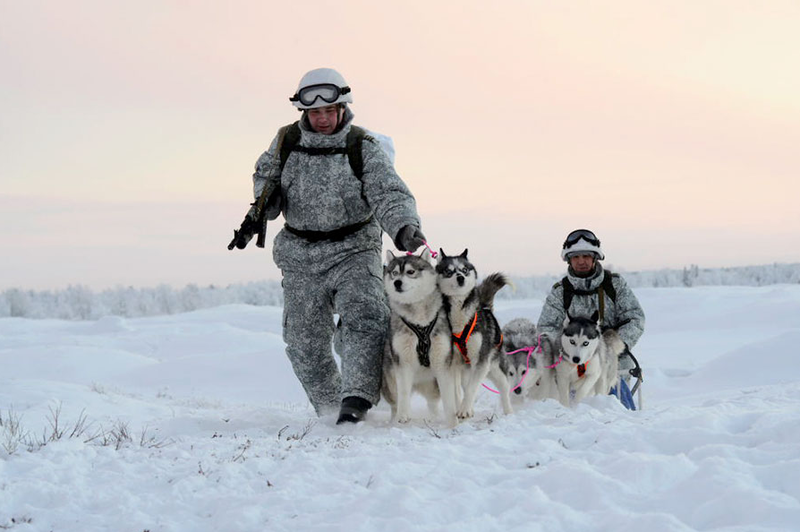 The Arctic brigade conducted exercises with husky dogs and reindeer. 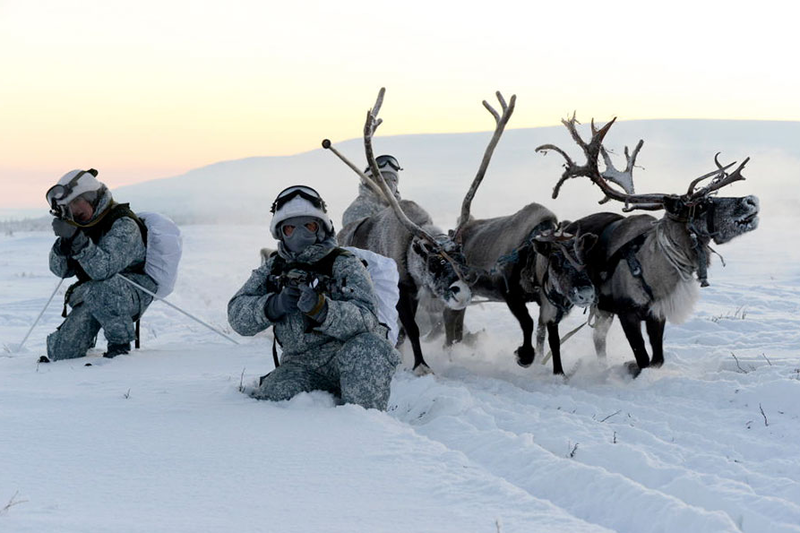 The soldiers tried to control the dog and reindeer sleds. 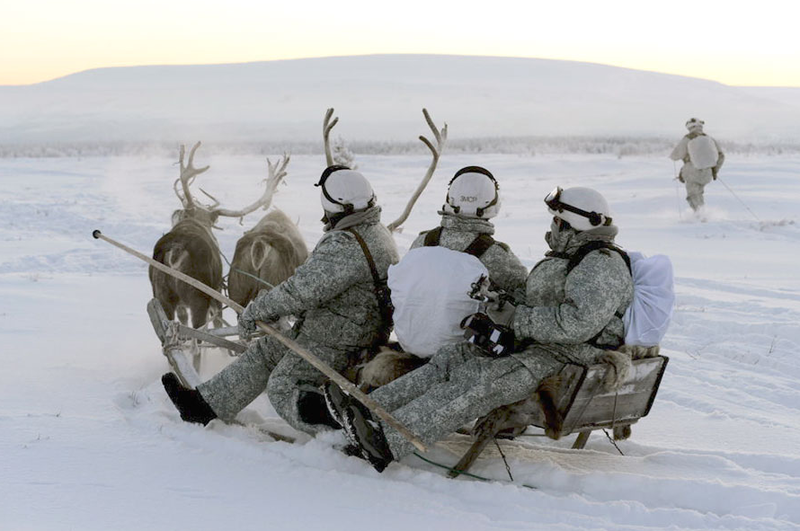 The region is so remote that some places are only accessible on reindeer-back. 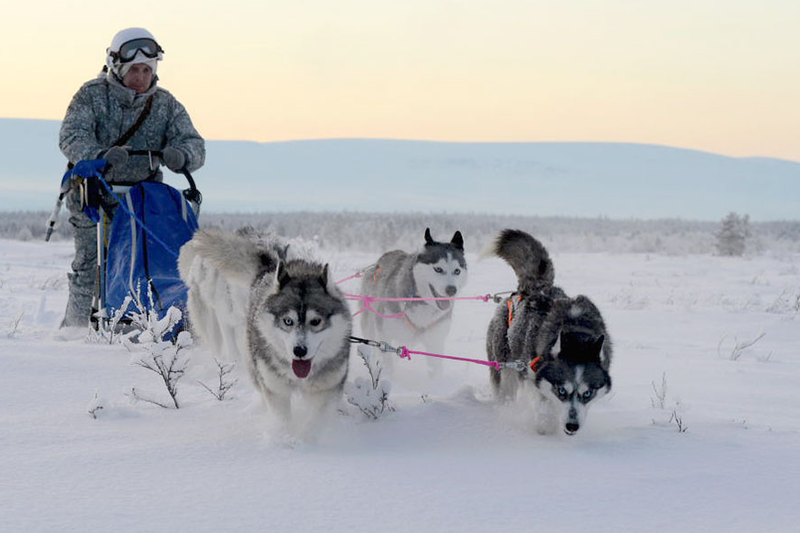 Siberian huskies have also entered the ranks of the Russian Northern Fleet’s contingent in the Arctic. The troops practised the tactical elements of raid actions. 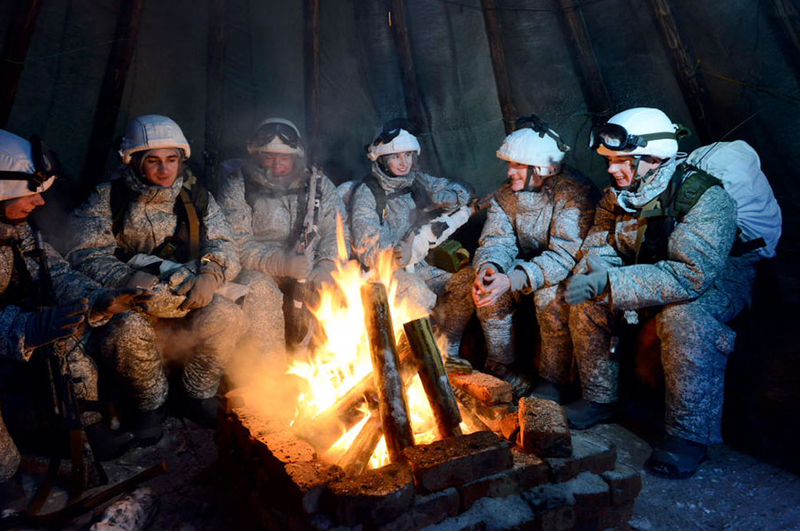 As the temperature was −30 degrees Celsius, the military personnel successfully tried to get warm by using the traditional dwelling of the nomadic peoples of the North — chum.